Attention! Changing the Ratio is in just 10 days’ time! We’re getting super excited, and so should you. But if for some reason you aren’t just yet, we’ve spoken to a couple of industry guns from AppNexus on why diversity and inclusion is so important for business. Changing the Ratio will be an unmissable event, with world-class speakers (like Lisa Wilkinson and Deng Thiak Adut) and thought-provoking panellists. Attendees will walk away with game-changing ideas, and things to do right now in their own organisations to drive diversity and inclusion. Grab tickets here! AppNexus is one of our lovely sponsors, and has been a long supporter of the advancement of women in our industry. Six years ago, they opened their doors to Girls Who Code for inaugural Summer Immersion Program. Girls Who Code is a nonprofit organization which aims to support and increase the number of women in computer science – and they’ve been headquartered with AppNexus in Manhattan ever since, impacting over 90,000 girls. 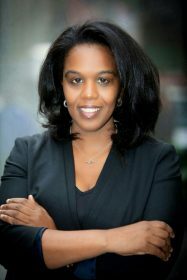 Antoinette Hamilton, vice president of diversity, inclusion and community experience at AppNexus (pictured below) said that in addition to this, the company also provides mentorship, education, and pro-bono resources internally and for allied organisations. Oh, and supporting events like Changing the Ratio. 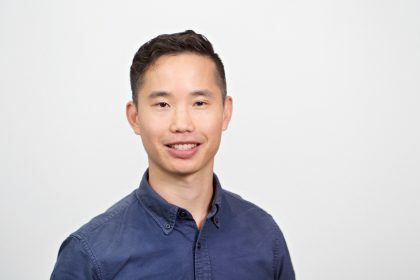 “Changing the Ratio’s mission of bringing about greater inclusiveness, diversity and equality in the industry aligns completely with our own efforts to create a more diverse workforce and inclusive culture,” said Samuel Tan, director of market development (pictured below). “We believe that every organisation has a responsibility to not only contribute to the discussion, but also drive meaningful change, both within their business and within the community,” he continued. “Connecting the dots between inspiration and action is often the hardest part, and Changing the Ratio will help close that gap,” Tan said. However, the gap is far from closed – in 2017, the gender pay gap in our industry ranged from 17.4 per cent in market research companies to 22.4 per cent in TV and radio broadcasting companies. Additionally, only 16 per cent of CEOs in Aussie ad agencies are female – so how can companies do better, and be more inclusive and diverse? Hamilton said it’s all in their intentions. “Setting targets around the demographics of your employee base are a great intentional initiative, however companies must also create the right conditions internally so that women and underrepresented groups feel included and set up for success,” she said. “The conditions come through structured training on hiring, inclusive management, and ally skills for employees, so that everyone across the organisation is invested in and accountable for an environment in which every single employee feels supported. “It’s critical to spread accountability across your company, so that everyone, not just the underrepresented groups, are advocating for an inclusive environment.